[I am on a roll- here’s my third posting in as many days. Someone I know recently told me my posts are too wordy so here is my big experiment to keep it short and sweet. This one’s dedicated to him]. There were several bands worldwide who have gone by the name of Factory- these ones were from California, and specifically Southern California according to the great Collector Scum site. What you get with this track is some good driving “chugga-chugga” punk with some nice punchy drumming and tense-sounding vocals (albeit a little annoying at times). Now this track is not “Grade A” punk like The Mad’s “I Hate Music” (or anything on the early Killed By Death volumes) but I would say Factory is a nice “B Grade” rarity. The flipside, “Smile!”, has grown on me a bit over the last 10 years that I have been acquainted with this disc and has some decent guitar noise but it’s definitely not on the same level as “World Gone Mad”. The sleeve artwork and font choice, as you can see above, is really BAD in the “yuck!” sense of the word, and I wonder if this caused many people to pass it on by in record store bins. Um, I do not know anything else about Factory so I guess that’s all I have to say for now. Fill me in on any details if you have them. With a clearer photo, I can now see that the guy on the right was rockin’ the 1970’s man scarf around his neck. And possibly blowdried hair too?! Nice. Here’s another very early one from Sweden, and even more obscure than my previous post of the Homo Electrica 45. 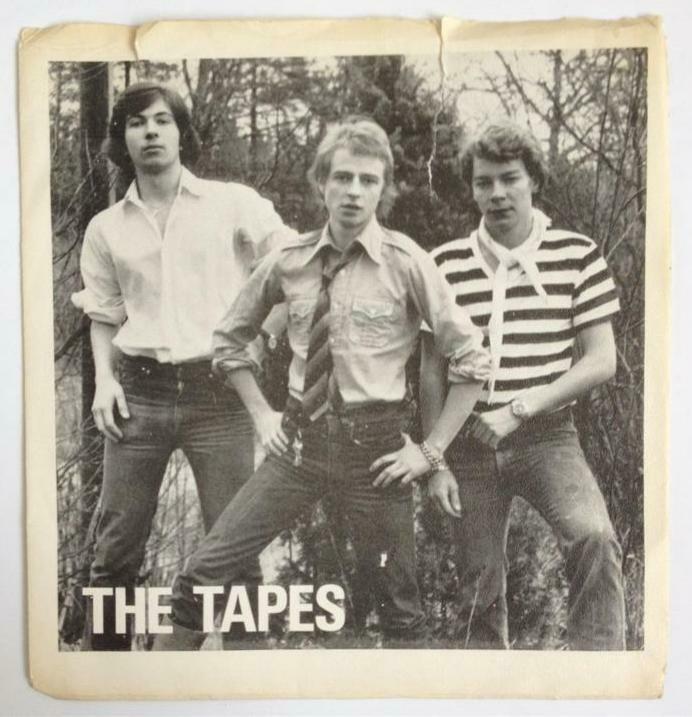 In 1978, an absolute boatload of wonderful punk records were released in Sweden but ones with a date of 1977 can be pretty much be counted on one hand. 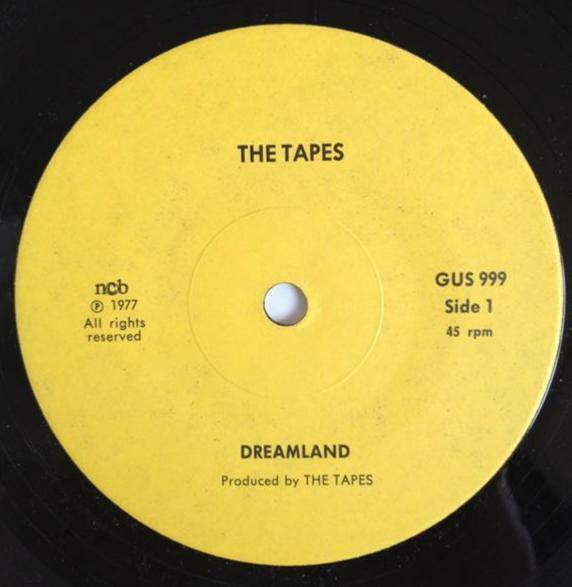 Well, this Tapes 7″ is not really punk per se in the “classic” sense of that word. It’s more DIY-ish but it a bit early for that categorization too. Whatever you want to label it, me thinks it possesses the same energy and spirit behind a lot of punk. I have to admit, it took me a few listens to get into it but I was hooked after that on its sloppy, charming nature. 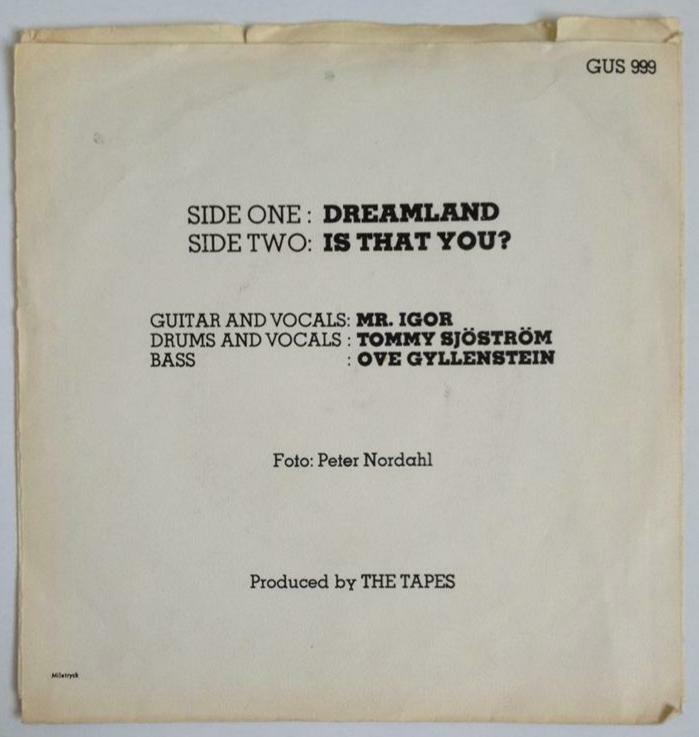 “Dreamland” is the winner on the record- very catchy with some great hokey “Ooo-ooo-ooo” background singing goin on and an odd guitar. And the tambourine playing also definitely adds to the song’s overall quirkiness. It’s sung in English in a rather serious, flat manner- which I dig- and the singer’s Swedish-accented English makes it more charming for me. And it’s topped off by him spinning a great story which, as you will see, ends on a tragic note. I know nothing about the band and Johan did not give more more info other than hyping it by saying it is “A heartbreaking work of staggering ineptitude” that is “geographically challenged hick-punk-chug from the boondocks of Scandanavia”. I wonder what region of the country they were from- does anyone know? Given the generic band name, a Google search goes absolutely nowhere. I do not have a vinyl copy of The Tapes 7″, only some mp3’s, so excuse the crummy scan I pulled above from the aforementioned Ugly Things article.